With thousands of miles of pristine coastline, Europe is an extremely popular destination for beach-lovers. There is something for everyone, from the remote, cold rock beaches of Iceland that attract photographers and expert surfers, to the tranquil and picturesque islands of Greece that draw crowds from all over the world. Here are the best beaches in Europe. 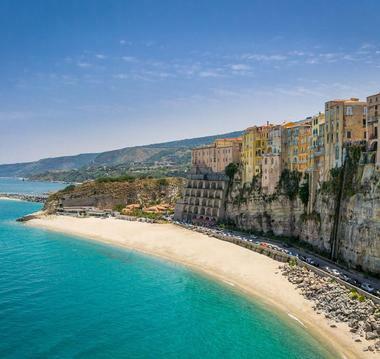 Located in the “toe” of Italy, Marasusa is a popular beach framed by sheer seaside cliffs and the bright blue waters of the Mediterranean Sea. The cliffs are topped with ancient stone structures, including the famous church of Santa Maria dell'Isola. On clear days visitors can catch a glimpse of the beautiful Lipari Islands in the distance. The beach also offers spectacular views of the volcano Stromboli, and beachgoers frequently see the active dolphin pods that like to play behind the wakes of boats and ships in the glittering sea. 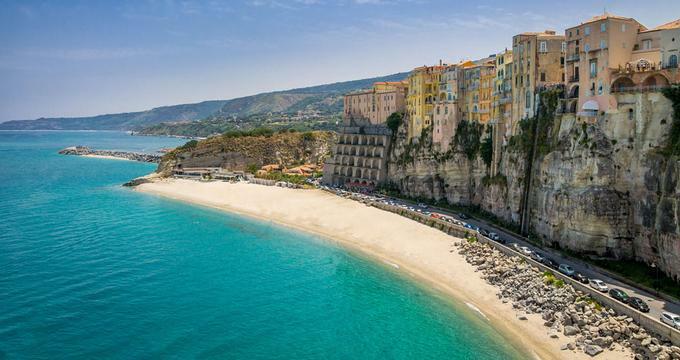 Tropea has been recognized as one of the most beautiful beach areas in Europe, ahead of its popular neighbors Ibiza and Sardinia. 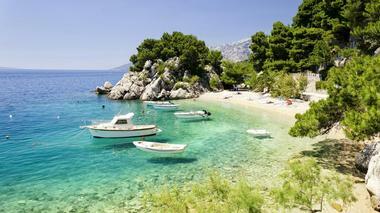 Brela is a fun tourist town in the Makarska Riviera area of Northern Croatia. Home to around 1,900 people, Brela is split into two parts. The upper part of the town sits near the Biokovo Nature Preserve, while the lower half of the town is nestled against the light blue waters of the Adriatic Sea. The most popular beach in the area is Punta Rata, which was named by Forbes Magazine as one of the most beautiful beaches in the world. Pine trees around the coastline provide beachgoers with plenty of shade on steamy days. For out-of-town visitors, Brela has plenty of hotels, apartments and hostels that are close to the beach. Cala Goloritze is one of Italy's most remote and peaceful beaches. Unreachable by car or boat, the only way to access this Sardinian gem is by taking an hour-long hike. At the beach, visitors enjoy snorkeling in the light blue ocean and relaxing on the bright white sand. Cala Goloritze was recognized by UNESCO in 1995 for its pristine waters and unique environment, and it has also been named one of the best snorkeling beaches in all of Sardinia. 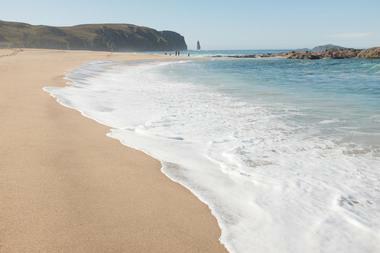 Several other pristine beaches, including Cala Mariolu, Cala Gabbiani, and Pedra Longa are located close by. 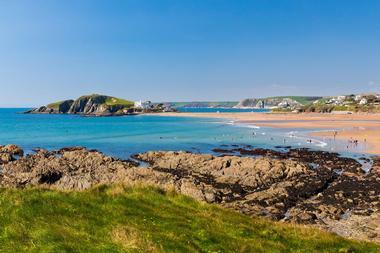 Bantham Beach sits at the mouth of the Avon River in South Hams. Recognized as one of the best beaches in Europe by Lonely Planet, Bantham beach offers visitors panoramic views of Bigbury Bay and Burgh Island. The bay is a prime location for family outings because of its wide, sandy coastline, and surfers regard the area as one of the best places to catch a wave in Devon. The estuary at the Avon River is also an excellent destination for wildlife viewing and taking long walks. There are well-kept footpaths in the area that trace the picturesque coastline. 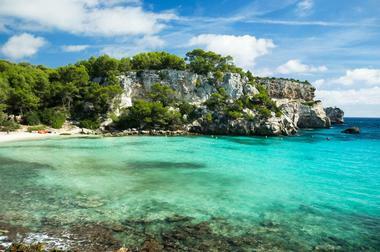 Cala Macarella is a beautiful beachside area that attracts adventurous travelers from all across the globe. Aside from relaxing on Cala Macarella's white sandy shores, visitors enjoy trekking and horseback riding along the famous Cami de Cavalls path that winds around the island of Menorca. Water-lovers can cool down while kayaking, jet skiing, windsurfing, sailing, boating or paddleboarding. World-class scuba diving and snorkeling are also popular activities for travelers. Menorca enjoys an average of 300 days of sunshine, so visitors have plenty of chances to catch a game of golf, go paragliding or join a Jeep safari. The Curonian Spit is part of an area called the Lithuanian Sahara. Located on a narrow peninsula, the resort town of Neringa is renowned for its quaint fishing homes and stunning natural surroundings. Rolling sand dunes, thick pine trees and blue waters surround the coastline. Most activities on the Curonian Spit are centered in Neringa, but visitors can also enjoy hiking the length of the island to see remote beaches and old fishing villages. The island is quite tourist-friendly, but there aren't nightclubs, chain restaurants or shopping malls. 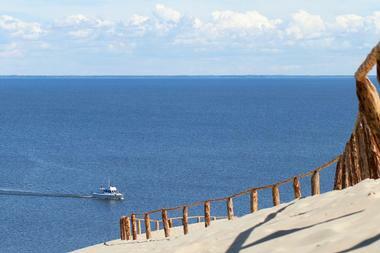 Visitors love the Curonian Spit for its tranquil and laidback atmosphere. Studland Bay is a beautiful seaside destination in Dorset, England. 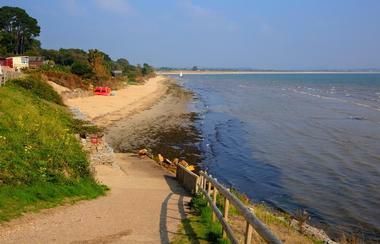 Located near the village of Studland, the bay is known for its peaceful natural surroundings. Thousands of visitors flock to Studland during the summer months to enjoy the temperate weather and the four-mile stretch of beach. There are 260 beachside huts that guests can rent for daily, weekly, seasonal or even yearly stays. For fun, beachgoers enjoy playing beach volleyball, going for long walks along the coastline, or getting out on the water while paddleboarding, kayaking or snorkeling. The beach is open year-round. Jaz Beach in Montenegro is near the seaside village of Budva, a quiet town founded by the Greeks in the fourth century BC. Budva is part of the 22-mile-long Budva Riviera. Jaz Beach, a lively and beautiful part of the Budva Riviera, is home to a handful of resorts, restaurants and shops. There are plenty of places to relax along the pebble sand beach, but guests can also rent pedal boats, kayaks or jet skis for some fun out on the water. From time to time, the beach hosts festivals and outdoor concerts. Jaz Beach is easy to reach from Tivat, Podgorica and Dubrovnik, Croatia. Lara Beach sits on the Akamas Peninsula in the Paphos district of Cyprus. This deserted beach is protected as a wildlife sanctuary for green turtles, wild goats and several kinds of birds. The horsehoe-shaped bay is reachable from Pegeia, a nearby village. However, getting to the beach requires a vehicle with four-wheel-drive since the roads are rugged and inhospitable. Once at the beach, visitors can enjoy miles of golden sands, a brilliant blue sea and some interesting formations along the coastline. Since the area is so far off the beaten path, beachgoers are advised to bring their own umbrellas and food. 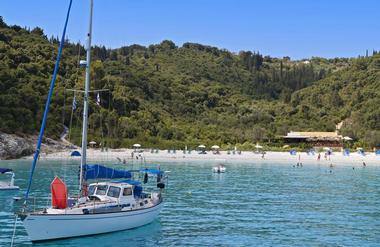 Voutoumi is a pebble-sand beach on the Greek island of Anti Paxos. Famous for its white sand, clear blue sea and isolated coves, Voutoumi attracts tourists from all around the world. Voutoumi is an excellent spot for swimming, snorkeling and diving, and since it is the largest beach on Anti Paxos, there is plenty of room for all of these activities and more. Guests can rent out sunbeds on the beach or enjoy a scenic walk to Taverna Bella Vista. Another popular Greek beach, Vrika, is just a 30-minute walk from Voutomi. Voutoumi is also connected to Paxos and Gaios by a small ferry. Myrtos Beach on Kefalonia Island is one of Greece's most iconic seaside areas. The semi-circular white sand beach is surrounded by the dazzling Ionian Sea and framed by towering green hillsides. The beach has been identified as one of the most photographed places in Greece. Myrtos Beach has plenty of space for sunbathing, playing in the waves and enjoying the beautiful views of the bright blue sea. On the western side of Myrtos, visitors can bask in a stunning island sunset while enjoying cold drinks and snacks from the concession area. The beach is easy to reach by car or on foot. Navagio Beach, also known as Shipwreck Beach, is an incredibly picturesque beach on the Greek island of Zakynthos. The beach features a rusted and partially overturned ship that ran aground in a small, beautiful cove during 1983. Bright blue waters and sheer white-washed cliffs surround the lonely beach where the old ship rests. To visit Navagio Beach, travelers have to take a taxi boat from Porto Vromi. The boats leave every half hour. It is also possible to get a view of the beach from on top of the cliffs if you are touring Zakynthos by car. Playa de la Concha is a popular and easily accessible beach that sits between the fishing harbors of San Sebastian and Pico del Loro. Known as one of Spain's most photographed beaches, Playa de la Concha has services, facilities and space for the entire family. The wide golden sand beach stretches for 1.5 kilometers and features cabanas, large umbrellas and sitting areas for groups of all sizes. 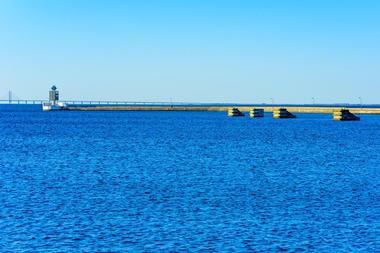 On the water, visitors can try surfing, windsurfing, kayaking and other fun watersports. 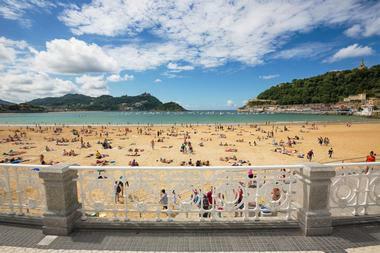 Playa de la Concha also has a peaceful cycling path and a promenade area that is always bustling with life. Ploumanac'h, also known as the Pink Granite Coast, is a beautiful beach located on the northwestern tip of France. The coastline is known for the massive pink boulders that punctuate the path between the port of Ploumanac'h and Perros-Guirec. The beach offers plenty of space and attractions for solo travelers, honeymooners and families. From the coast of Ploumanac'h guests can enjoy a prime view of Château de Costaérès, a beautiful 19th century building that rests on a small island in the bay. Some nearby attractions include a planetarium, an aquarium, a water park and an 18-hole golf course. Peniche, Portugal is famous for its dramatic rocky coastline. 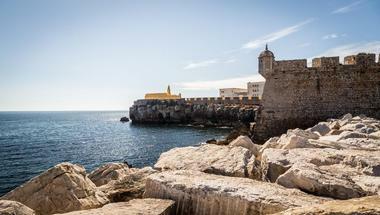 Surrounded by the Atlantic Ocean, Peniche is a charming town with around 30,000 permanent residents. The Peniche area features several beaches that attract locals, foreign visitors, families and adventure seekers. Some of Peniche's beaches are tourist hotspots with bars, resorts and malls, while other beaches are rugged, secluded and far off the beaten path. Peniche is known for its excellent weather and water conditions, which are ideal for surfing, windsurfing and bodyboarding. Peniche is even regarded by some as the “European Pipeline,” a reference to Hawaii's famous Banzai Pipeline. The area is frequently used for surfing competitions, camps and schools. Praia Da Marinha is a stunning cove filled with towering limestone cliffs and unique rock formations. The picturesque cove, which has been featured on hundreds of travel brochures for the Algarve area, holds a small beach covered in golden sand. Reaching the beach requires a short hike down some steep steps. There are no facilities at this point on the Algarve Coast, so visitors should come prepared with food, water and other necessities. 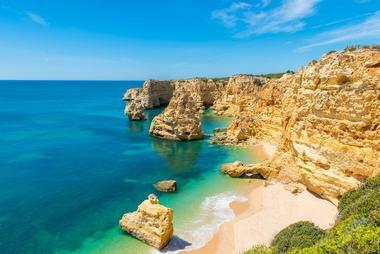 Praia Da Marinha offers safe spots for snorkeling as well as plenty of small caves to explore. Guests can also hire a boat to get a better look at the rock formations that rise up out of the sea. 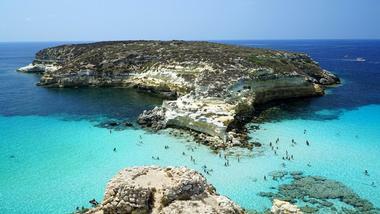 Located on the tiny island of Lampedusa, Rabbit Beach is known for being among the most beautiful beaches in the world. It sits nearly 110 miles away from Sicily. Lampedusa is closer to North Africa than to mainland Europe, which is noticeable in the 100+ degree days that hit the island during the summer months. Since Lampedusa can only be reached by boat, the beach tends to remain uncrowded, even at the height of the tourist season. However, visitors will need to share the area with shy loggerhead turtles, which are protected by the marine reserve that comprises Lampedusa and its surrounding waters. 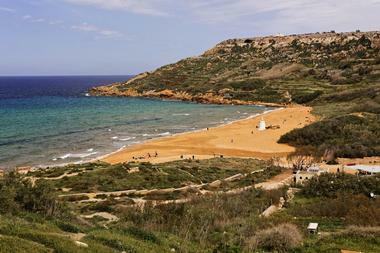 Ramla Bay is known as one of the best beaches on the small island country of Malta. Known by locals as the Red Sandy Beach, Ramla Bay is overlooked by most tourist crowds because of its remoteness and undeveloped surroundings. Large rolling sand dunes along the beach are interrupted by patches of lush vegetation. The area remains free of buildings and businesses except for a few cafes and food stalls. In order to reach Ramla Bay, visitors first have to travel to the local villages of Ix-Xaghra or In-Nadur. There is one major resort in the area that can accommodate individual travelers and families. Rondinara is an unspoiled beach located on the Mediterranean island of Corsica. Remote and quiet compared to its popular neighbor, Pietracorbara Beach, Rondinara manages to remain an off-the-beaten-path destination, despite its frequent appearances on postcards and tourism brochures for Corsica. Rondinara's perfect crescent-shaped bay, white sands and bright turquoise waters are encircled by steep cliffsides and tall pine trees. The water in the bay is calm and shallow, which makes Rondinara an ideal seaside getaway for families. Aside from the typical beach activities, visitors enjoy seeing the docile cows that plod their way across Rondinara Beach from time to time. Recognized as one of the most beautiful beaches in the United Kingdom, Sandwood Bay is a 1.5-mile-long pink sand beach with rolling dunes, jagged cliffsides and a massive sea stack. Reaching Sandwood Bay requires a 4.5-mile-long walk from the parking lot at Blairmore, a nearby town. The walk is leisurely with only a few hills to climb. At the remote beach, visitors can take pictures of the powerful waves, the golden sands and the imposing sea stack that juts out above the water. Guests can also take photos of Cape Wrath Lighthouse, which sits six miles north of Sandwood Bay. Falsterbo is part of Skane County in Southern Sweden, and is a town known for its rich medieval history and beautiful seaside location. The beaches are filled with mini multi-colored cabanas that sit atop rolling white sand dunes. The crystal-clear waters are inviting and safe for beachgoers of all ages. Aside from lounging on the beach, tourists enjoy riding bikes around the peninsula, grabbing a cocktail or some ice cream at one of the local cafes, or visiting Fotevikens Museum, an open air model of a 12th-century Viking settlement. Guests can interact with the living museum's cast, which includes fishermen, blacksmiths, weavers and others. Troia Peninsula is a sandbar that stretches out into the Atlantic Ocean. A handful of resorts, hotels restaurants and shops are perched on the far end of the peninsula. The midsection of the peninsula is part of the Reserva Natural do Estuario de Sado, a natural preserve that protects the Sado River Estuary. 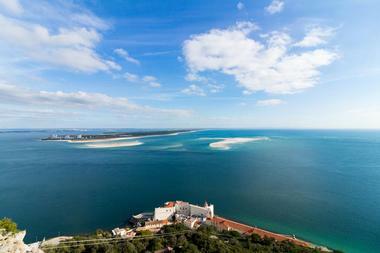 Troia is easily reachable by ferry from the nearby city of Setubal. The beaches on Troia that are close to the ferry terminal tend to fill up during the summer months, but visitors can find plenty of space if they head to the southern point of the peninsula. Iceland's world-famous black sand beach, formally named Reynisfjara, is located near Vik, a small town along the Ring Road route. The beach is covered in small black pebbles and surrounded by basalt column cliffs. A couple of sea stacks rise above the raging dark waters of the Atlantic Ocean. The beach is not suitable for swimming or watersports, but it is a popular destination for photographers and birdwatchers. Puffins, fulmars and guillemots are regular visitors to this remote stretch of coastline. Reynisfjara has seen several fatal accidents so visitors are advised to be careful near the water. Celebrated as one of the most stunning beaches on the Croatian coastline, Zlatni Rat is a triangular-shaped white-sand beach that extends out into the bright blue waters of the Hvarski Canal. Zlatni Rat is a protected area that draws in scores of surfers and kitesurfers from around the world. 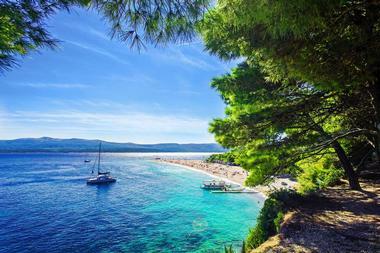 Zlatni Rat sits two kilometers away from the bustling tourist town of Bol. During the summer months there is a tourist train bound for Zltani Rat that departs from Bol on the half-hour. Zlatni Rat is also easy to reach by car, by boat or even on foot from Bol. 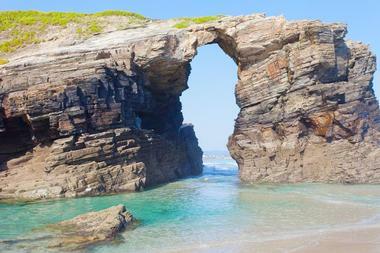 Dubbed the most adventurous beach in Spain, Playa de las Catedrales is home to a series of incredible rock formations that are visible during low tide times. The stunning sea caves and rock pillars sit in the Bay of Biscay just ten kilometers away from the town of Ribadeo. Playa de las Catedrales is often crowded during the two low tide times of each day, but if travelers visit the beach around 8:00 PM, they can usually skip the crowds and get a glimpse of the sunset. August is the best time to visit this beautiful coastal area.